2º ESO-UNIT 1. The Middle Ages for the ENGLISH class. 1. Do you know how men became Knights in the Middle Ages? Click HERE to discover it. 2. Practice the Past Simple Tense with this ACTIVITY. 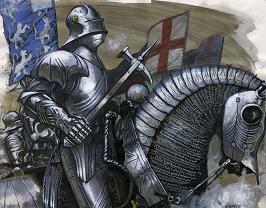 PRINTABLE ACTIVITY: Medieval Knights and King Arthur. Filed under: 3. ENGLISH LANGUAGE |	Comments Off on 2º ESO-UNIT 1. The Middle Ages for the ENGLISH class.